If we didn’t believe the following agents acted in the best interest of their clients, they wouldn’t be on our web site. If you’d like to know how our service helped their clients, or if you want advice on workers’ compensation rates and programs, call the experts we trust. Jeff began his insurance career in 1987 as an auditor with Allied Insurance Company. He held a variety of underwriting and marketing positions with Allied prior to becoming Marketing Officer in 1996. In this role, he was responsible for overseeing Allied’s sales and marketing efforts in Kansas, Nebraska, South Dakota, North Dakota, Arizona and Texas. He has earned the professional designations of CPCU (Chartered Property and Casualty Underwriter) and CIC (Certified Insurance Counselor). Jeff joined INSPRO in March 2006. Jeff is a Vice President of INSPRO, Inc. and is involved in management of the INSPRO Omaha office. His responsibilities also include sales production and service for all lines of insurance. Jeff and his wife Nancy are parents of three children, Megan, Adam and Aaron. Jeff is involved with MDA (Muscular Dystrophy Association) and is a member of Sheridan Lutheran Church. Outside interests include sporting activities, especially basketball and golf. Neil began his insurance career in 1992 as an Underwriter with Allied Insurance Company. In 1994, he became a Sales Manager for Allied in Nebraska. In 1999, he accepted the position of Sales Officer with Allied Insurance Company in the Des Moines, IA office, overseeing the sales and marketing efforts for Allied Insurance in Missouri, Tennessee and Georgia. Neil is a graduate of Nebraska Wesleyan University. He has earned his CPCU (Chartered Property and Casualty Underwriter), CIC (Certified Insurance Counselor) and AU (Associate in Underwriting) professional designations. He joined INSPRO in July 2004. Neil is a Vice President of INSPRO, Inc. His responsibilities include sales production and service for all lines of insurance in the INSPRO Omaha office. Outside interests include sports, especially basketball and golf. He also enjoys working on the family farm in southeast Nebraska. Paul has served as Chairman of the United Way Area Fund Drive, Chairman of the Fremont Area Diplomats; Member of American Heart Association Board, Member of Fremont Opera House Board and Member of CrimeStoppers Board Paul and his wife Debbie enjoy spending time with their four children and their four grandchildren. Blaine’s expertise is in the area of premium cash flow and partial self-funded plans. Blaine has helped clients in the construction, transportation, and manufacturing to design and implement cost effective ways to handle their workers’ compensation and liability obligations. 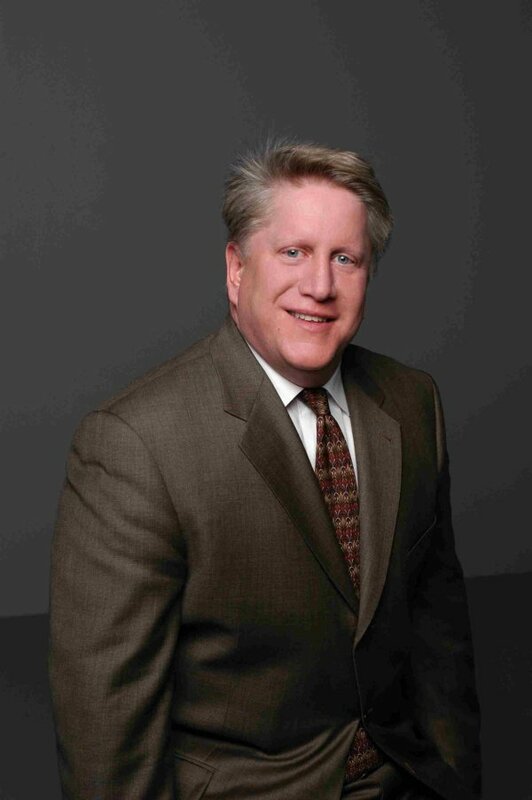 Blaine Graduated from Northwestern University in Evanston, IL and has been a property and casualty producer since 1984. Phil Kuhn joined The Rockwood Companies as President of Executive Risk Management in July 2006. Phil adds his 30 years of diverse insurance industry experience and knowledge to The Rockwood Company by serving as one of its Vice Presidents and Corporate Officers. Phil’s clients include; manufacturers, distributors, truckers, contractors, publishers, financial services and property managers. Phil works with national associations, national and international corporations as well as many local businesses. Currently pursuing his Certified Risk Manager Designation, Phil, a Certified Insurance Counselor, uses his industry knowledge to help his customers design appropriate insurance and risk management solutions in order to minimize risk and maximize premium savings. Phil understands the risk management process is vital to a client’s long term success. Phil is a member of Michigan State University’s Alumni Association board of directors, a former cub master and assistant scout master, and a member of a numerous community groups. He is married and proud father of twins. Jennifer joined Mesirow Financial in 1996 and is a Managing Director and shareholder of the company. Jennifer has extensive experience with clients in several different industries, including manufacturers, real estate, developers, retail chains, nonprofit organizations, food-related businesses, and financial institutions. She also has expertise in placing and coordinating global insurance solutions. In addition to her active role in sales and client relations, Jennifer was involved with the in-house risk management for each of Mesirow Financial’s four divisions and quality control of the Insurance Services Division for more than 10 years. Jennifer’s specialties include program assessment (analysis, planning, control, and financing) as well as her strong analytical, organizational, planning, interpersonal, and negotiating skills. Jennifer is also very experienced with coordinating loss sensitive programs, risk management initiatives, contract reviews, and negotiating and identifying creative solutions for complex insurance exposures. Holds a Charted Property Casualty Underwriters (CPCU) designation. Currently pursuing an Association in Risk Management (ARM) designation. Jennifer is married with two children. She is involved with Little City Foundation, Girl Scouts of Greater Chicago & Northwest Indiana, and the German American Chamber of Commerce. Jennifer enjoys music, literature, travel, gardening, and digital photography. John's career experiences has spanned a multitude of areas in the insurance industry including an insurance company (Progressive), a TPA (Sedgwick), and a brokerage firm (Johnson & Higgins). In addition, he has served as Director of Risk Management at Frozen Food Express Industries, a national temperature controlled transportation company. Since then, John has served as the Outsourced Director of Risk for several transportation companies where his advanced claim management model has resulted in documented loss cost reductions of between 30 and 55% (total incurred). John spends much of his time conducting Risk and Claim Audits where he is adept at identifying opportunities to reduce both frequency and severity of claims. He established a virtual investigation service in 2008 that serves overburdened claim adjusters by providing the quickest and most in depth investigation in the insurance industry. John devotes time to a continual tweaking of an improved investigative process allowing his staff to work more efficiently as well as providing his customers with better information, sooner. John and his wife Paula are proud of their eight (8) children. He enjoys basketball (playing and watching) and helping with youth groups at his Catholic Parish.